Best peanuts ever, my husband and I received some last year and made a purchase for my father, for Fathers Day. We have enjoy all the products we have tried. Would recommend your company to anyone. Wonderful. Just what I was looking for. Nuts are the best on earth but your shipping is too high. VD shipping is incredibly reasonable when compared with others! Maybe these latest comments about shipping charges are being made by those competitors or customers of same. So 5 starts to VD - great product reasonable prices and shipping costs. You'll never want grocery store peanuts again. Originally got a can as a gift. These nuts are delightfully crunchy. We think they're great. Thank the for a great product!!! These are absolutely the best peanuts by far. Always cooked to perfection and very fresh. Great service and shipped fast! 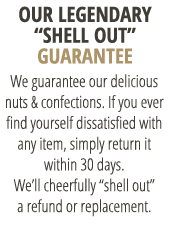 We love your peanuts, and the service is excellent! Peanuts we're delicious. Never disappoint. 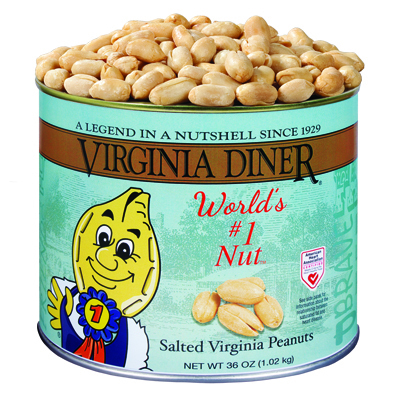 VA Peanuts are the best! These are the best peanuts I have ever eaten. I found them while on vacation to the Outer Banks of North Carolina in 2000. I have purchased multiple times each year. Fantastic service and value! Easy to order,received when they said I would. Love these peanuts.